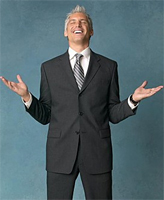 Men are rarely required to wear suits to work every day – “business casual” has become the norm. However, every so often gents are faced with a formal dress code and don’t know what to do. Hiring a tux is one way out, but not always called for. 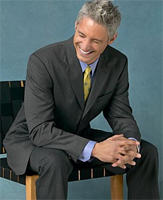 Colour – if you have a “once a year” suit requirement, invest in a charcoal grey single-breasted 2 or 3 button suit with flat front trousers to match. Buy it in heavier weight wool. You’ll be able to cover all your bases with this option by dressing it up or down. If you are blonde and very fair, consider dark navy instead of dark grey – this might be more flattering. If you like, a subtle self-colour pinstripe is a more current option. Brand – suit prices can range from $400 to $2000. My recommendation would be to buy nothing cheaper than a suit from Banana Republic, Brooks Brothers or J. Crew if you are budget conscious. In this way – you will be guaranteed an optimum level of quality (after all “boys need to buy better”). If you have more to spend, consider Hugo Boss, Joseph Aboud and Armani Collezioni. Black suits – it is not necessary to have a black suit in your wardrobe. Black suits are for funerals, ultra formal occasions, tremendously trendy events and gangsters. They are often inappropriate for anything else unless you have the knowledge on how to wear one correctly. Shoes and trims – you’ll need to match your suit up with a narrow black and “finer in appearance” leather belt and formal shoes – preferably with a bit of sheen. Rubber soled loafers will not do. A white dress shirt is conservative, but a safe and professional option. If white is not your colour – opt for French blue. You cannot go wrong with a tie that has a small geometric print or bold diagonal stripe. You’ll be able to mix and match your shirt and shoes with your jeans, which will make it easier on your conscience when you invest. White t-shirt – it’s a good idea to wear a white “undergarment t-shirt” under your dress shirt (bought in the underwear area). It defines the colour of the shirt that you are wearing and soaks up unsightly armpit perspiration (instead of your shirt). Your suit, shirt and tie requirement will change as your need to wear formal suiting increases. Once your wardrobe extends beyond a single suit you can afford to get more daring and trendy. How to spend your money wisely and how to build a stylish suiting assortment will be topic of many a blog entry to follow! On the left, charcoal grey wool suits from Calvin Klein and Alfani (available at Macy’s). Safe and professional options with white dress shirt and diagonal stripe tie, or with French blue dress shirt and geometric tie. On the right, a slightly more stylish option: charcoal grey wool suit with sheen from Hugo Boss (available at Nordstrom) matched with pale grey dress shirt and geometric tie.